This past week has been a blur of design, build, write and tweek with my personal website, www.denisecorcoran.com. It always ends up being more work than you anticipate! And in this case really fulfilling! I asked my Crafternoon partners and participants to write testimonials and wow - everyone was on board. I've posted the below to my site redesign with more on the way. Yay! Denise has single-handedly teased out the creative spirit in North Shore community members of all ages and artistic persuasions. 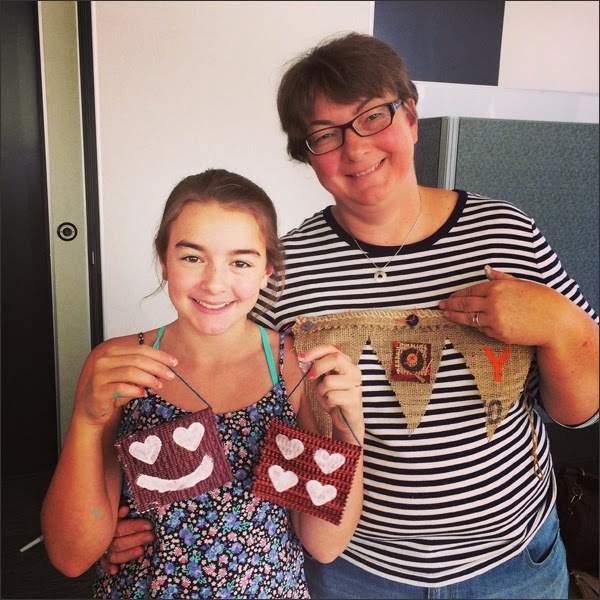 Whether it's at the popular library Crafternoons, Culture Days events or upcycling workshops, Denise has a special knack for helping people find their own artist within and having tons of fun in the process! I love working with Denise because she is incredibly energetic, creative, always easy going and personable, as well as truly passionate about what she does. Her crafts are fun, accessible and catered to a diverse audience of all ages, backgrounds and abilities. She is a joy! Denise has been a guest instructor for an art based project I manage in the community. I have also attended one of her Crafternoons as a participant. I highly recommend Denise as she has been a sheer delight to work with! She has no shortage of positive energy and creative ideas to share. 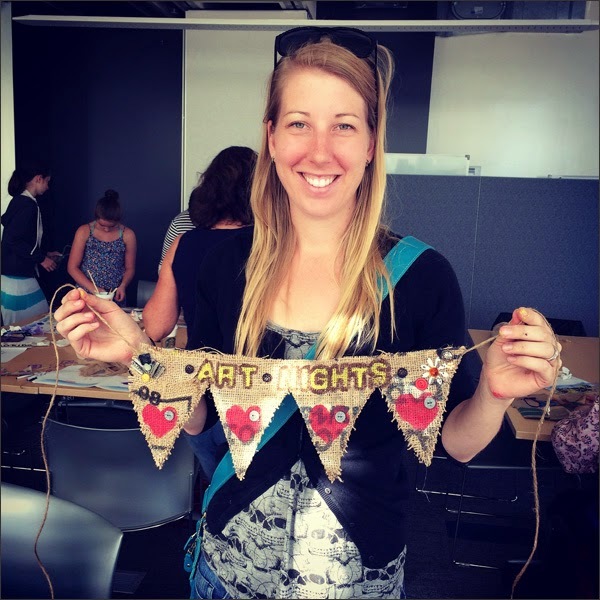 Her professional and ethical approach to affordable upcycled crafting is truly inspiring! 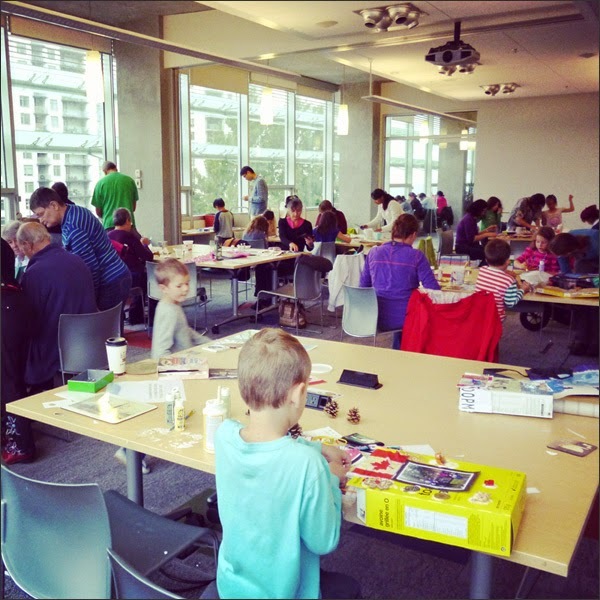 We have attended several of Denise's Crafternoons at the North Vancouver City Library, and loved every crafty second. She is a great teacher, very knowledgeable and enthusiastic; but also able to give the freedom to explore and create in our own ways. She also creates a fun community atmosphere for everyone who attends, both parents and children. Her events are something all of our family look forward to. It is a testament to her skills as a workshop facilitator that she can take a room full of strangers and turn them into a buzzing hive of fun, laughter and activity. Perhaps this is where Denise's true 'craft' lies - in being able to share her gifts and create community for others. 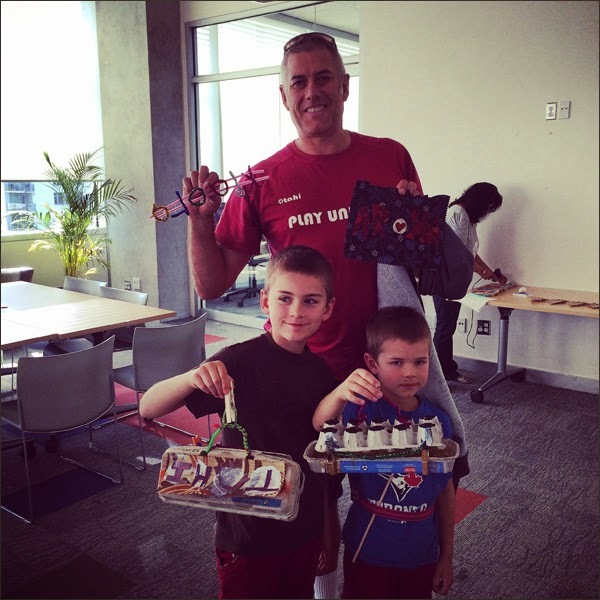 My daughter Madeleine and I discovered an Upcycling Crafter-noon with Denise at our local library. We loved it. 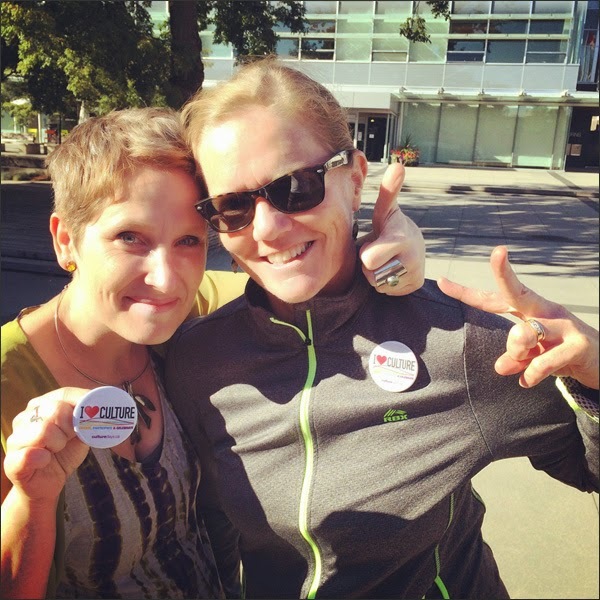 With her energy and enthusiasm, Denise makes everyone feel welcome and excited about creating. She always manages to create amazing work that not only is fun to make, but by upcycling materials, helps the environment as well. With materials such as cereal boxes, yarn, burlap, cloth and lots of other goodies, crafter-creators can make something amazing. My daughter loves Denise's workshops as she feels like she can make and create in a fun and safe atmosphere. Kids from all ages come away from the workshops with something they are proud of, making new friends and helping the environment along the way. 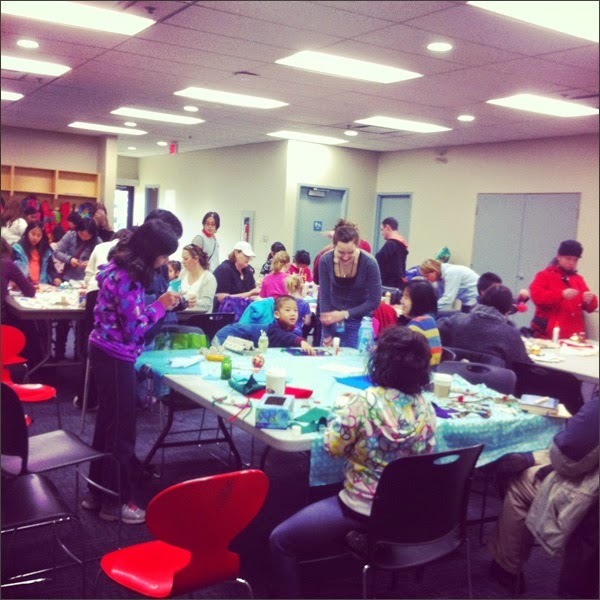 Denise coordinated a Winter Crafternoon at Guildford Library to make holiday decorations from upcycled materials. She was an absolute joy to meet! Denise's warm personality and enthusiasm inspired even the most shy participants to create something special. Denise brought a treasure trove of supplies with her, everything from felt, ribbons, googly eyes, sparkles, jewelry, egg cartons, sewing needles, and thread to paint, paintbrushes, glue, and scissors. She brought some fantastic examples of decorations that people could create and took the time to move around the room and help individuals on a personal level. Everyone left with a homemade trinket to add to their holiday decorations and the refrain of "When are you holding the next one?" I look forward to working with Denise on another crafty adventure! Big thanks to all my partners and participants who have written testimonials for me and Thrifty By Design. Feeling the love! If you want a testimonial included on my website just email me at denise@thriftybydesign.ca.